Probably the most pivotal time for a beef cow to maintain a position in the beef herd is the first three months after her first calf is born. Photo courtesy of J. R. Jenkins. Probably the most pivotal time for a beef cow to maintain a position in the beef herd is the first three months after her first calf is born. This young cow is barely two years old and many things are happening to her. As a two year old, she is not a mature cow. She still has nutrient requirements for growth. Nutrient needs have been increasing steadily during her last trimester of pregnancy for the fetus; now she has a calf and her nutrient requirements are increasing even more for lactation. Peak lactation will not occur until about eight to nine weeks after the calf is born. If she is to remain on a 365 day calving interval, she must rebreed by 80 to 85 days after calving, which is shortly after peak lactation. It is important to remember that if a cow cannot meet all these demands, resumption of the estrous cycle will be the first to be compromised. Dr. Rick Rasby, UNL Beef Specialist in Lincoln summarized research that determined thin (body condition score < 5) young cows had a 36% to 66% pregnancy rate, while young cows maintained in good body condition had a 91% pregnancy rate. (See summary http://beef.unl.edu/cattleproduction/nutrient2007 ). 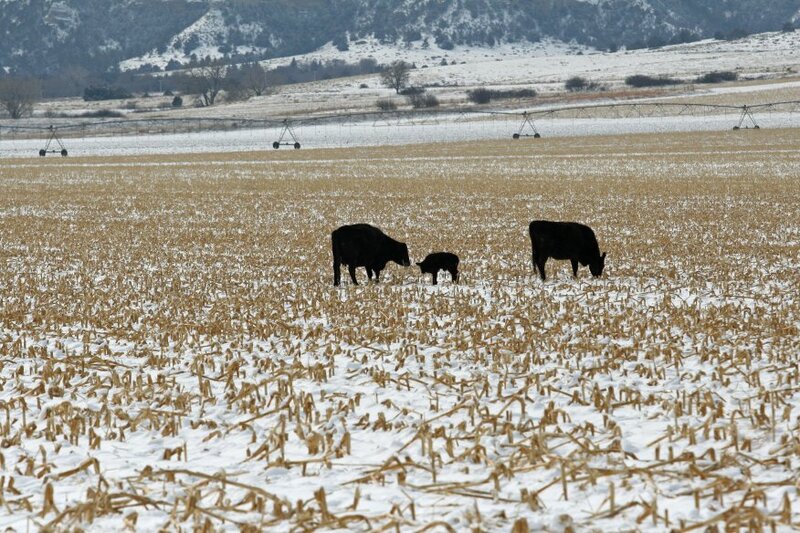 Many producers have integrated crops and livestock operations and by the time the intense activity of calving is over, they are busy preparing for spring planting. When so many other pressing issues are at hand, it is easy to overlook the body condition of the young cow. By the time her drop in condition is noticed, it may not be possible for her to gain enough condition to rebreed in a timely manner. It is important for producers to monitor body condition and body condition score changes in the young cow before calving through breeding. A guide to understanding body condition scoring and how to use it to manage the nutritional needs of the cow can be found at the following link: (http://go.unl.edu/i8h7). Additionally, there is an app to help with body condition scoring at http://beef.unl.edu/modules-apps-webinars.